Many lucky folks around Seattle call home on the water. These houseboats not only provide unique living spaces but they add to the charm of the city. Of course, living on a boat means space is at a premium. You could probably make the same claim around your own apartment or home. No matter how much space there was when you moved in it always seems to get filled up in no time at all. Of course, for all the stuff that you bring into the house you have the opportunity to take it out again. That should definitely apply to all the things that you no longer using, a broken or have been replaced. When you clear out that kind of clutter your sure to open up all kinds of space. That can all happen very quickly with one call to Junk King Seattle. Junk King Seattle is one of the earliest Junk King franchises and has led the way in terms of providing exceptional customer service. In the last 10 years, they have removed literally tons of furniture, construction waste, appliances, electronics and all kinds of other rubbish items from all over the city including the houseboats! They make this happen with a very simple rule: they do all the work. That means when the crew shows up at your home all they need to do is have you show them what you want to toss out. They’ll then pick everything up right from the spot and loaded onto their truck as quickly as possible. They want to get you back to your day and they need to move on to the next pickup! Over the years, the Junk King’s Seattle crews have become very adept at packing up their trucks with his much collected rubbish as they possibly can. This means using as little space as possible for each pickup. That’s actually good for your bottom line because it is how your final fee will be determined. The more they can pack into a little space, the less you’ll be paying. 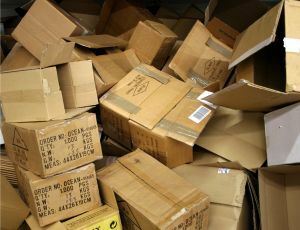 You don’t have to live with clutter one day longer as long as Junk King Seattle is just a phone call away. This entry was posted in Uncategorized and tagged Junk King, junk removal, the clutter on December 31, 2016 by Armen Kholamian. Last updated August 14, 2017 .